Elaine has a Specialist Personal Training background which led her to a degree in Sports Therapy at the University of Northampton, where she is in her final year. She is also entering her second season with the Towcestrians Rugby Football Club Sports Therapy Team. 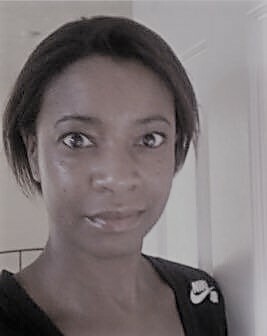 Elaine’s main role focuses on providing pitchside trauma management, injury prevention and rehabilitation specifically with the Development (2nd) Rugby Team. The players have helped her develop a deeper understanding in the diverse injuries and rehabilitation approaches required within the shoulder, knee and lower back. Since school age, Elaine has participated in variety of fitness related sports spanning athletics and duathlons, to more recently, Crossfit. She continues to teach fitness classes, albeit in a limited capacity, and loves the feeling participants get from exercises and the physical changes they experience. Treatments available include with Elaine Injury assessment, diagnosis and rehabilitation.This also extends to deep tissue massage, postural assessment and pain management. Elaine’s heart felt passion and reward is to be party to an individual’s progressive journey back to physical fitness, health and wellbeing. If you would like to enquire about an appointment with Elaine Please contact us on 01933 664444 / info@wollastontc.co.uk.